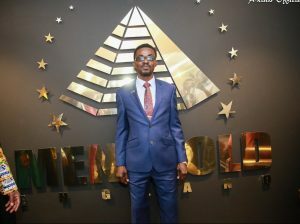 Chief Executive Officer of Menzgold Ghana Limited, Nana Appiah Mensah has assured his customers of the continues operation of the company adding that a press conference will be held on Monday to address concerns from customers. Reacting to a statement by the deputy governor of the bank of Ghana Charles Adu Boahen, hinting of a total shut down of the company, the Menzgold boss said his company will thrive. The deputy governor revealed that the company has not been cooperative in providing documents demanded by the regulatory body. A situation that has informed their decision to close down the company. However, reacting via a tweet Nana Appiah Mensah stated that the company is not a financial institution hence the Deputy Minister cannot determine it’s fate. Customers of gold dealership company, Menzgold Ghana Limited, say they will embark on a nationwide demonstration by the end of this October, to express their displeasure at the company's failure to pay them the extra value on their investments as promised earlier. According to the spokesperson of a group calling it self 'Aggrieved Menzgold Customers', Timothy Binob, the exact date for the demonstration will be announced at a press conference to be held later this week. Mr. Binob explained that the customers all over the country are expected to take part in the demonstration. Speaking to Citi News, he also said customers are yet to receive any official communication from the company on what percentage of the total value of gold traded will be refunded to them. But the SEC did not agree with Menzgold's position, saying its action did not stop them from paying customers returns on already existing investments. Nana Appiah in a tweet, urged his clients to exercise some restraint for the protection of his business.